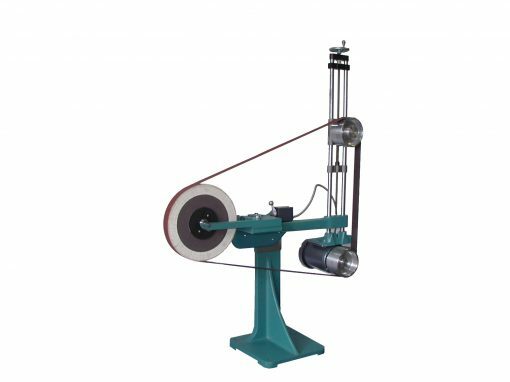 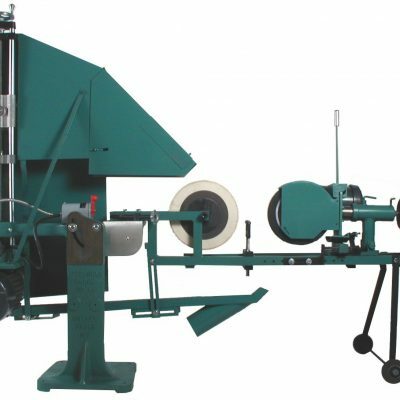 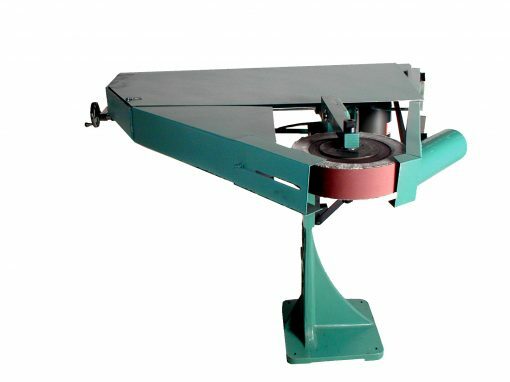 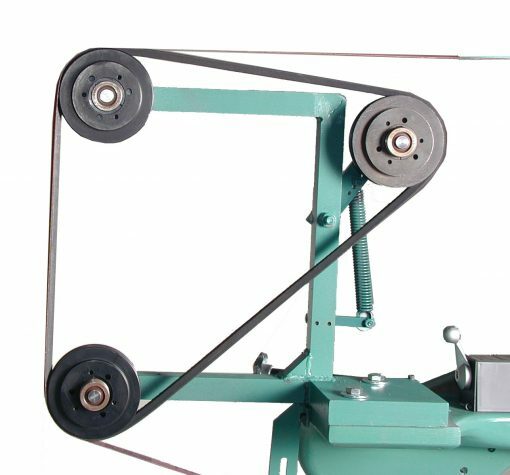 The most versatile belt grinding and polishing machine on the market. 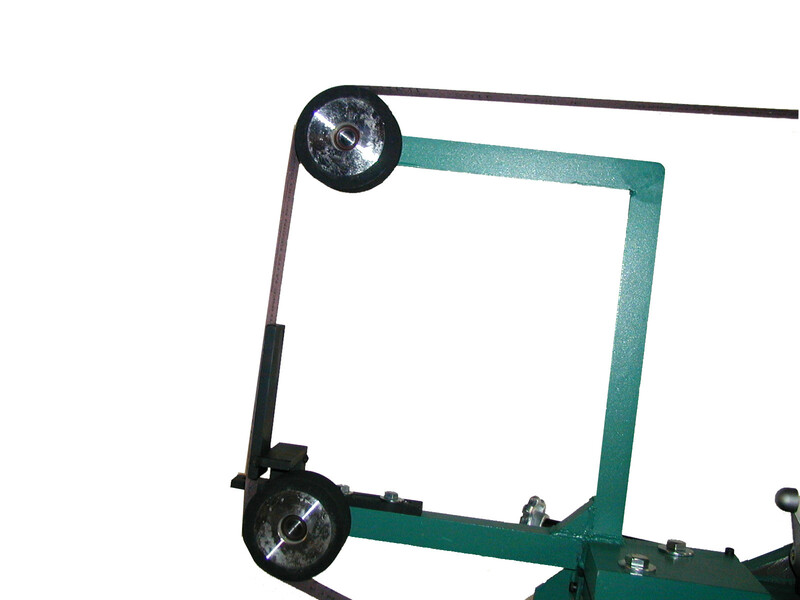 Its reliability, ease of maintenance and ruggedness are what you need in production environment. 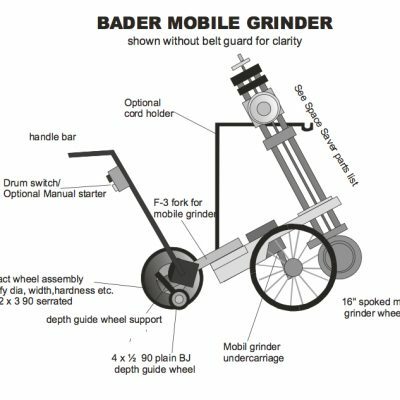 Whether you’re hogging off material quickly with a coarse grit belt or putting a fine finish on jet blades, surgical implements or hand tools, the Bader Space Saver is built with speed and versatility in mind. Change the contact wheel or attachments to process any part quickly and efficiently. 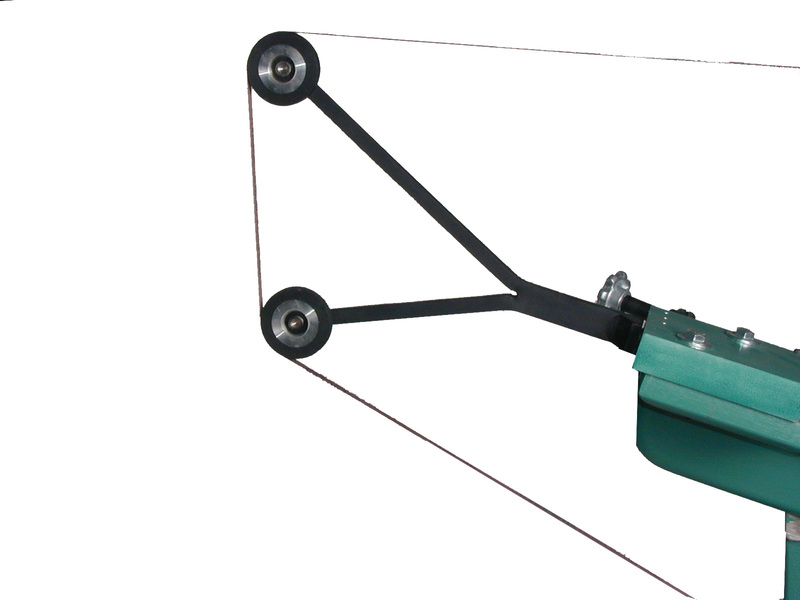 It easily pivots on its base, raises to standing height or lowers to your chair. 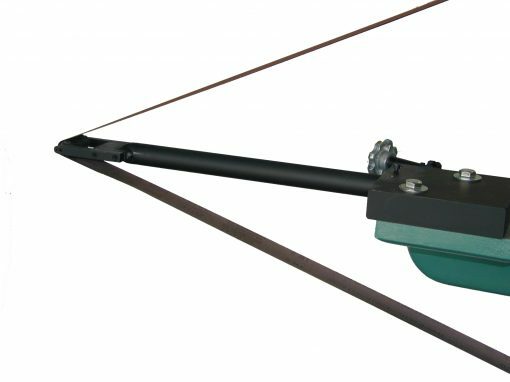 Its patented tracking system accurately tracks belts over soft buff or conventional rubber contact wheels from 1/8” to 3” wide and over shaped or flat-faced contact wheels from 1/2” to 18”. Drive pulleys are available to yield any desired belt speed from 1500 to 9000 SFPM. 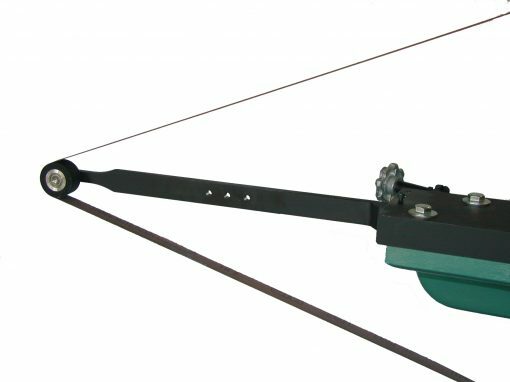 The OD may be used interchangeably with a constant belt speed and 132-inch belt length. The rear-mounted motor and recessed base leave the top, bottom and sides free of the obstructions common to typical backstand machines. 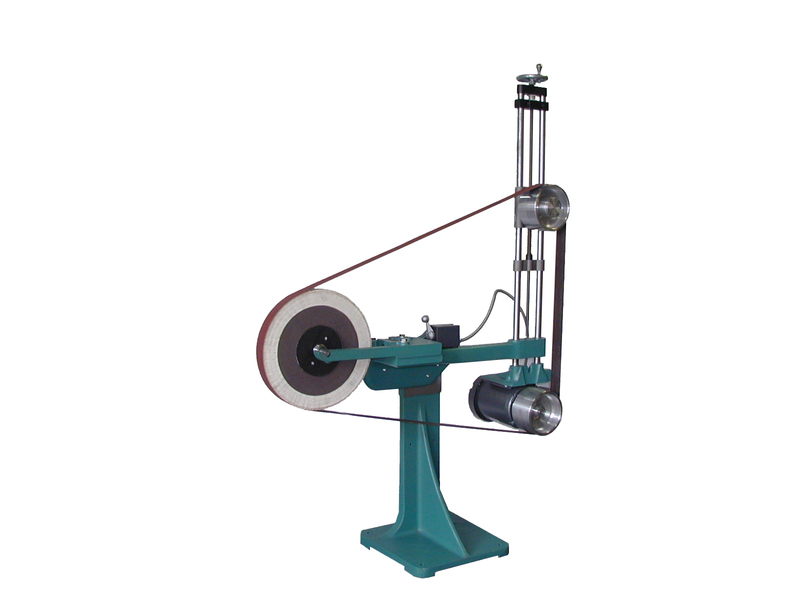 Standard machines are powered by a 2 or 5 HP 3ph 3450 RPM TEFC motor. 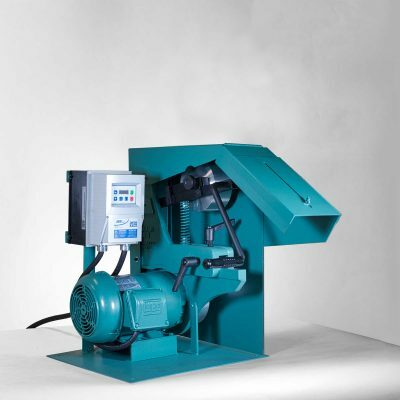 Variable speed with E-stop and brake and single-phase, single-speed motors are commonly selected options. 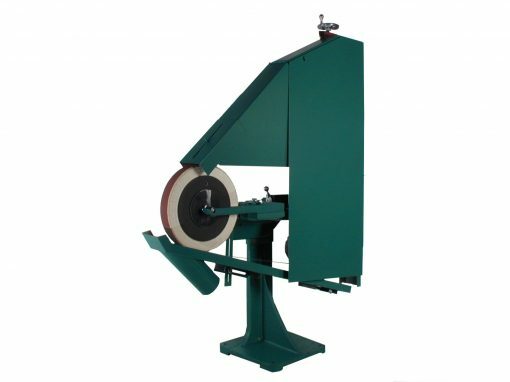 Special machines and accessories for use with belts up to 6” wide and motors up to 20 HP are also available. 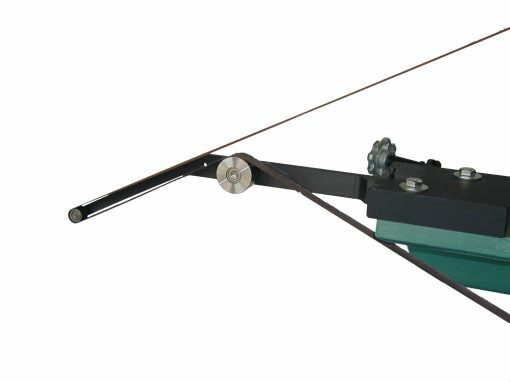 Optional equipment includes variable speed with E-stop and brake, air-tensioning, work rest tables and idler pulley tracking. 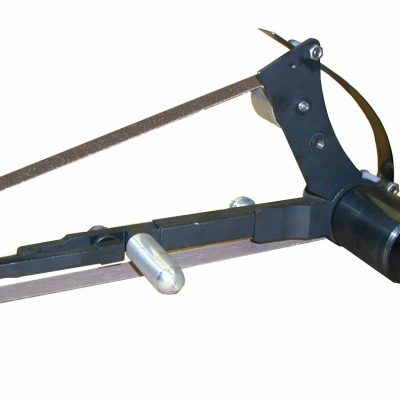 Equipped for use with belts 132” long and 1/4” to 3” wide, included as standard equipment.